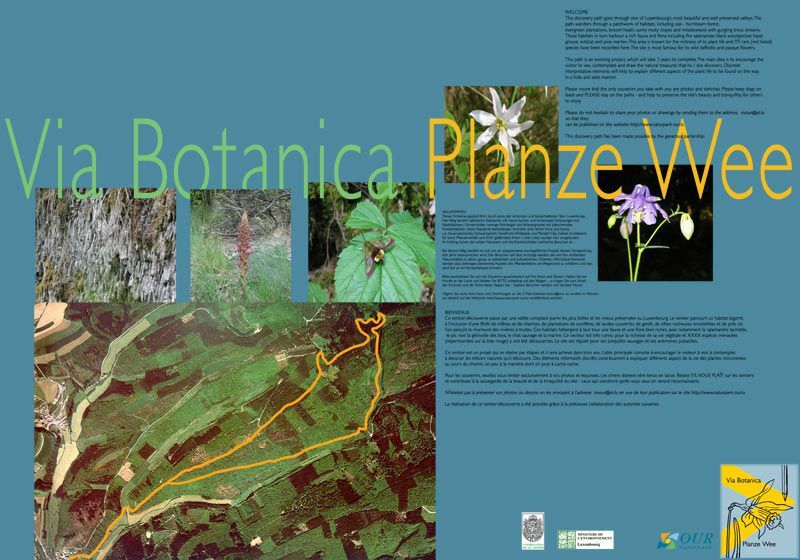 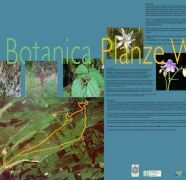 On the right is a selection of images of elements on the Nature Trail “VIA BOTANICA”, a project for Luxembourg’s, Administration of Nature and Forests (ANF) Nature Conservation North (2003–2011). 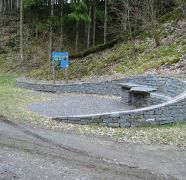 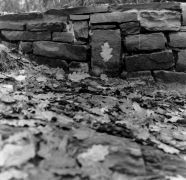 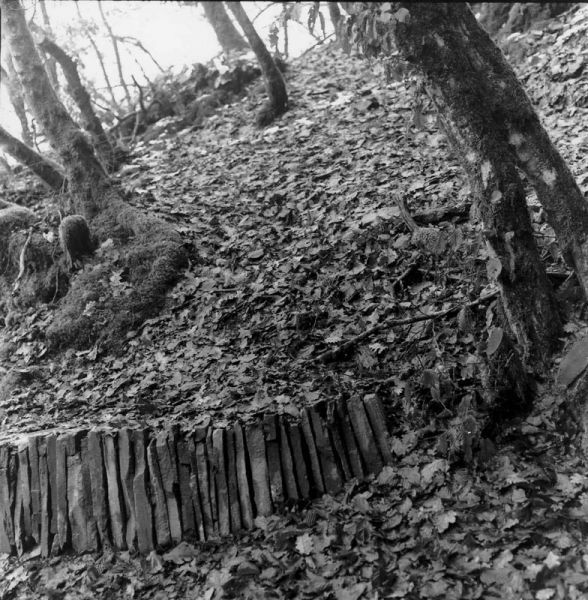 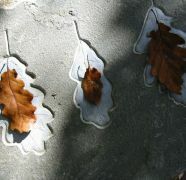 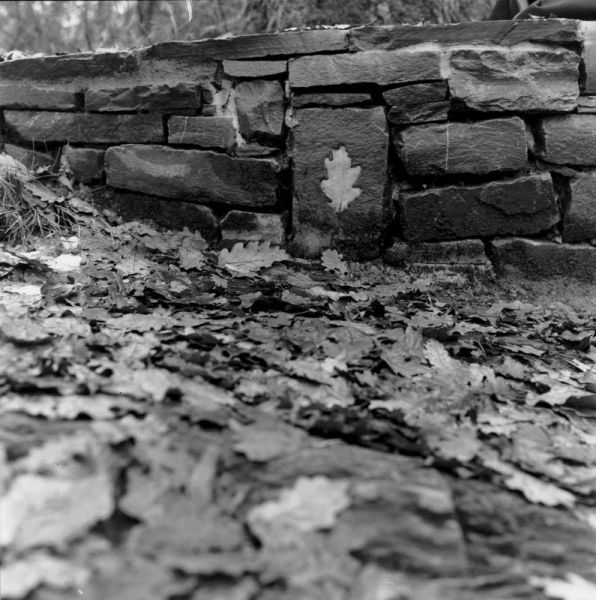 Working in cooperation with the Slovenian Landscape Architect Maja Devetak and German Sculptor Michael Hussmann, stone elements were installed on the trail. 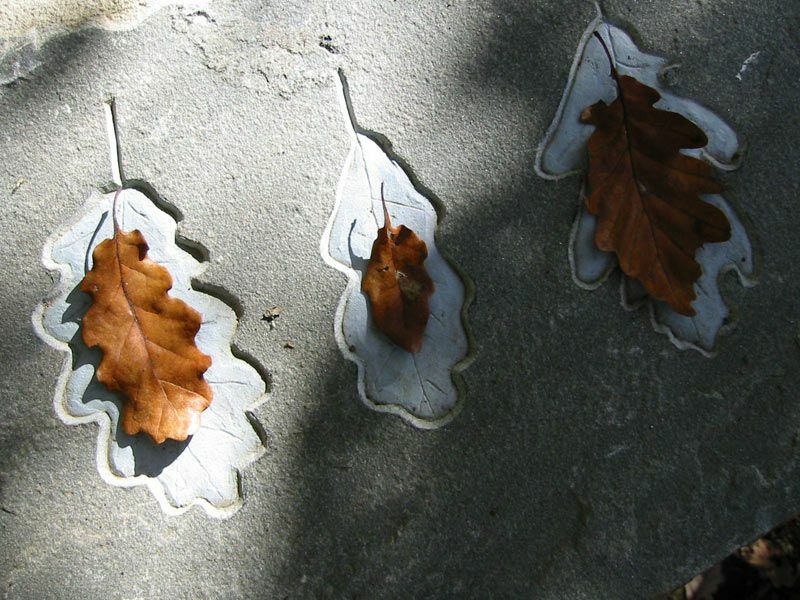 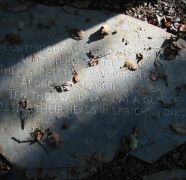 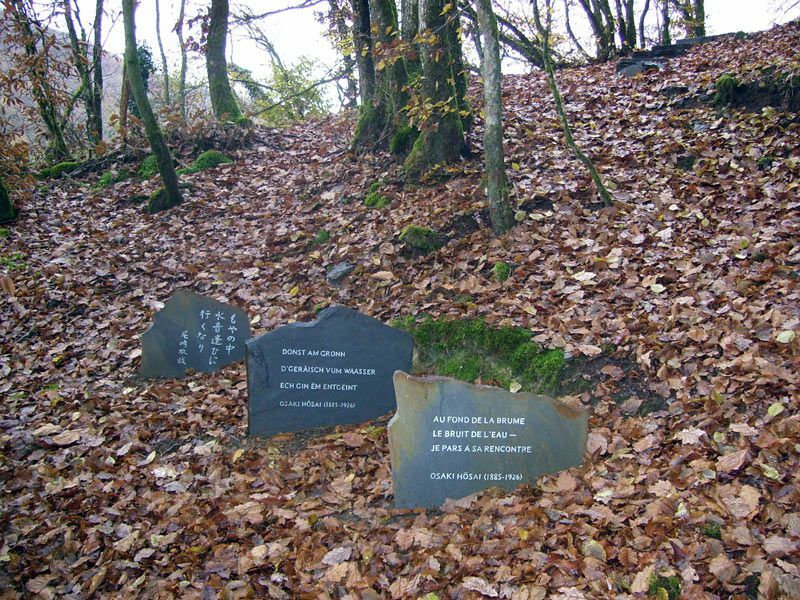 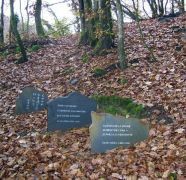 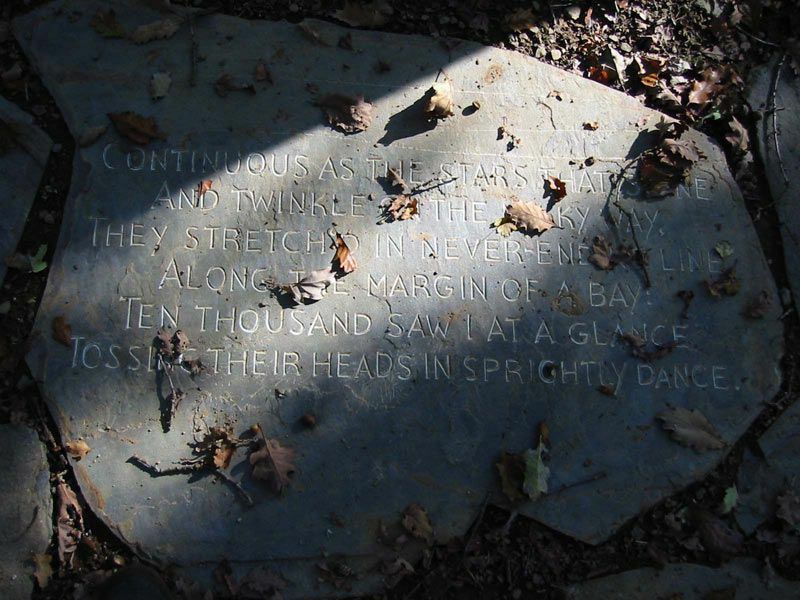 William Wordsworth’s “ Daffodils” poem was engraved on to flagstone paving in an area of wild daffodils, the different leaf forms to be found on the same oak tree were shown and a Haiku by Osaki Hôsai was reproduced in Japanese, Luxembourgish and French. 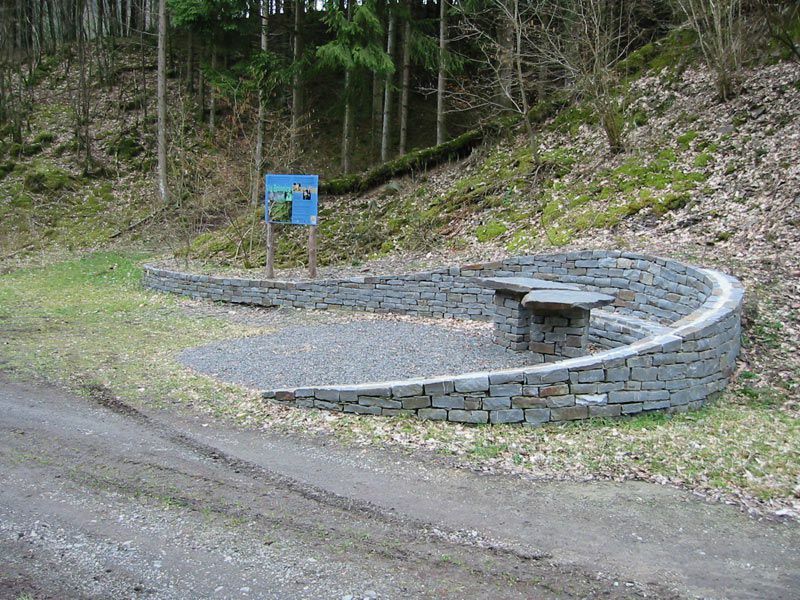 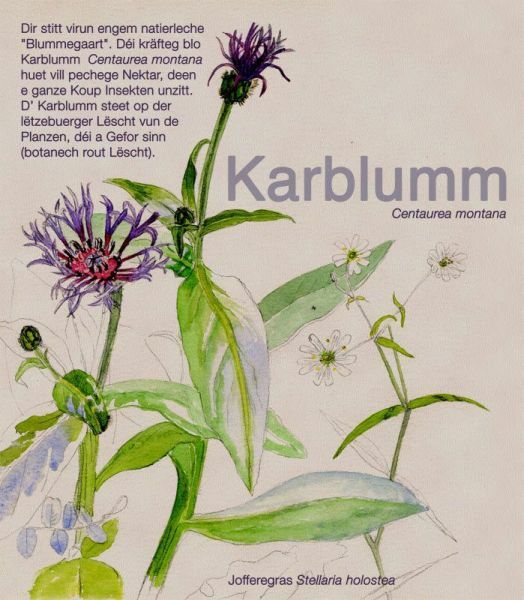 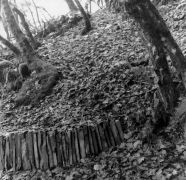 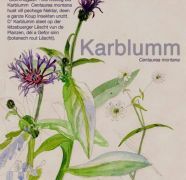 I have also conceived Nature Trails at Burfelt Forestry Centre, Insenborn and worked on the “Klangwee” in Hoscheid, the latter together with Sound Scupltor, Will Menter and Scupltor Marie-Josée Kerschen.